Season: Monsoon and Winter (July to Mid-March), and absolute magical in monsoon. Only phase 1 - Return Trek, 8 km grade easy. Phase 1 and Phase 2 and/or Phase 3 – Medium to Tough endurance trek. Tunganeshwar Jungle Trek is an explorers and naturalist’s delight. The trek can be broken into 3 phases. Phase 1 – Main entrance at Sativali village to Shiva Temple, (4 km), 1 hour one way. Phase 2 - Shiva temple till the Balayogi Ashram (7 km) From Tungareshwar Temple to Balyogi Ashsram (7 kms) 2-3 hours. Phase 3 - Descent from Balyogi Ashram to Vajreshwari Road (7 kms) 2 hours for descent. 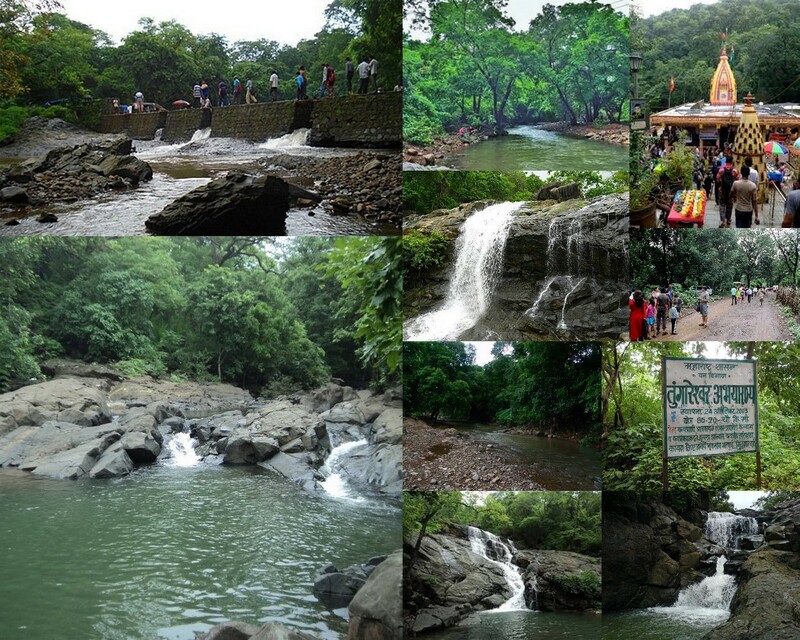 Tungareshwar at an altitude of about 2177 feet,is one of the highest mountain plateaus in Vasai. Tungareshwar wildlife sanctuary is a high endurance trek near Mumbai (Vasai) if you trek till the top (Balyogi Ashram or beyond). Tungareswar top is a table-land at a height of 660m, so in the months of monsoon there is considerable cloud cover over the top, it gives you the misty feeling. In winter and summer months the views from top are breathtaking, one can view the Pelhar lake on the Vasai side and the Tansa river along with its fields from the Vajreshwari side. 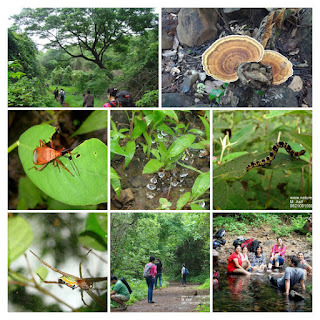 Tungareshwar trek offers plenty for the nature lover, from the various birds all along the route, to butterflies, scenic views of the plains below, waterfalls in monsoon, deciduous and evergreen trees and just being with nature so near to the city is equally amazing. The trek also offers pilgrims a lot in the form of a Shiva temple and an ashram to visit, also one can visit Ganeshpuri and Vajreshwari on the same day. There are a lot of karvi shrubs at the top of the plateau which blooms every 7 years. In the month of May one can enjoy Karvande and mangoes on this route too. There are a lot of monkeys near the temple premises. Also in the month of Shravan one can see the blue oakleaf butterfly in plenty. There are 2 ways to reach the Tungareswar top. 1. Most people will reach from the Vasai side or the western express side. Reach Vasai station (East) from there share rickshaws will take you to Tungareshwar Mandir Dwar from where the trek starts. The actual sanctuary is about 1 km from the Mandir dwar. There is entrance fee from this side. 2. From the Vajreshwari road, there is a hoarding for Balayogi Ashram (near Parol naka), one has to enter from here. Or reach Parol naka on the vajreshwari road and ask for direction from there.